I’m gonna be honest here, I have really mixed feelings about New Orleans; I loved the day time so much, but the evening was a bit hit and miss for me at times. By the time we had finished our walking tour at around 4pm, it was carnage on the streets. It felt like all the underage drunk kids had been drinking out in the street all afternoon so it wasn’t quite what I had expected. Once I was used to it on the second night, I did enjoy myself a lot more! But what were my favourite things to do whilst we were there? 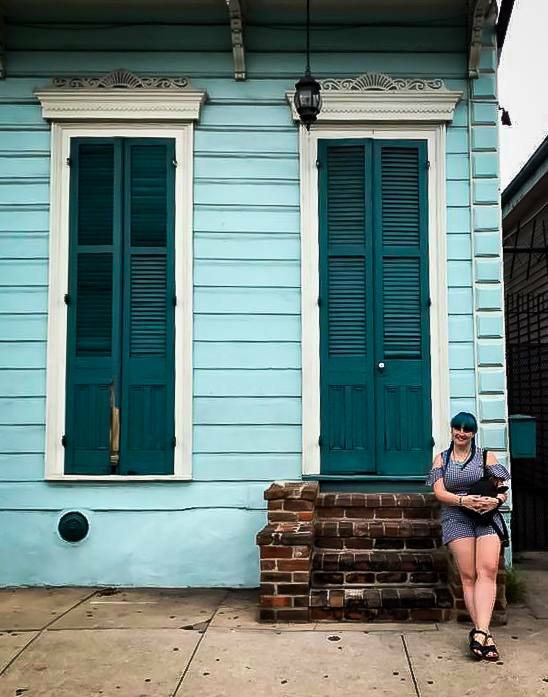 I’ve always considered myself a bit of a dark tourist and there’s no better place for that than in New Orleans where you can tour the most famous graveyard in the world, hear about the devastation that is still occurring from Hurricane Katrina and learn about the home of voodoo. We chose to go with The Voodoo Bone Lady as they had great reviews and we were really impressed with them. St. Louis Cemetery #1 can only be visited with a guide as it houses the tombs of many notable historic figures and most notably that of the Voodoo Priestess Marie Laveau, the second most visited burial site after Elvis’ in the USA! Our tour guide was so knowledgable and the hours went by so quickly, even in the incredibly hot sun. 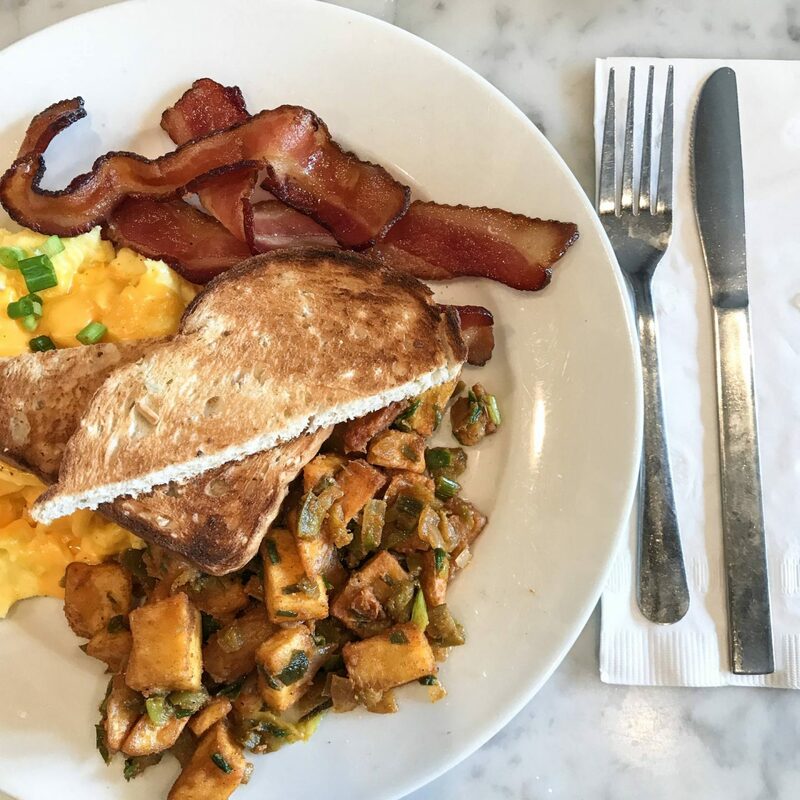 When I say the wait to brunch here was well worth it, I 100% mean it. Stanley Restaurant oozes cool decor, lovely engaging staff and the best Creole potatoes ever! We hadn’t planned on eating here but the queue outside caught our eye and being so very British we felt obliged to join in! The bacon was pecan smoked, the toast was multigrain without asking and the coffee just kept refilling; it was an ideal way to start the day and fuel ourselves up for a busy day. As gross as this neon green may look, it’s a tradition that originates from the prohibition times in America. 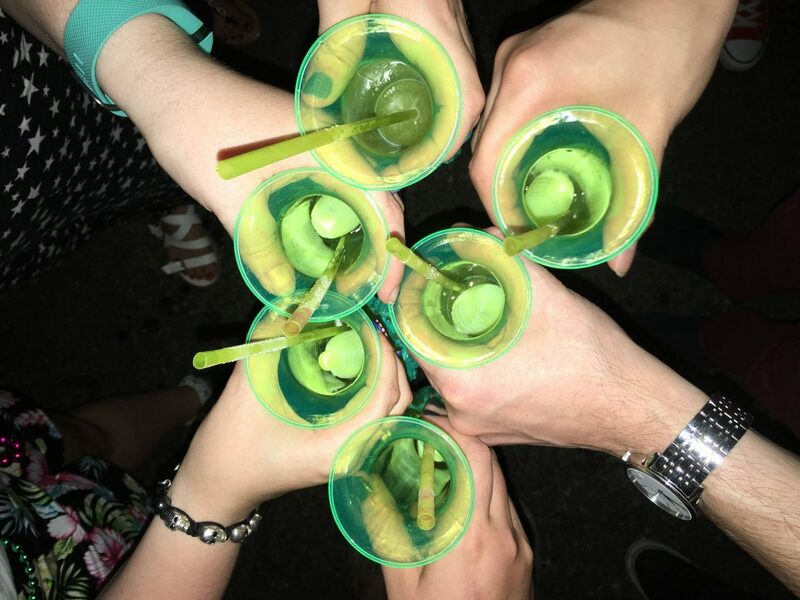 When there was too much surplus alcohol from how spirits had to be ordered, they had to find a way to get rid and so the hand grenade was born. It’s filled with sugar and I couldn’t have more than one but you have to stick to tradition, right? So, before I chat about the wonderful bar crawl that led to us creating my most favourite photo of the Trek, I need to clear something up! Despite what legends say, there was no flashing anyone at any point to get the famous Mardi Gras beads; we took part in the Halloween Parade where we caught a good few and people were throwing them from balconies when people were cheering, dancing and having a good time! 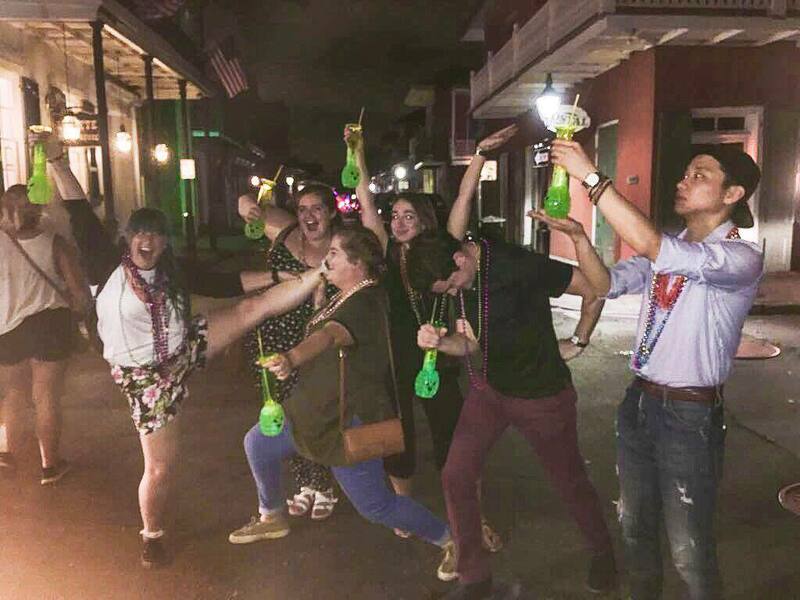 As we wandered up and down Bourbon Street, stopping off at bars that looked good fun, picking up cocktails and dancing the night away, we met amazing people and just had the best laugh. I had to get my hands on a Voodoo Daquiri from Lafitte’s Blacksmith Shop Bar after seeing photos of it online and we wanted to see some live bands play which we managed to cram in. If you’re not sure where to head I’d highly recommend the aforementioned Lafitte’s Blacksmith Shop Bar. 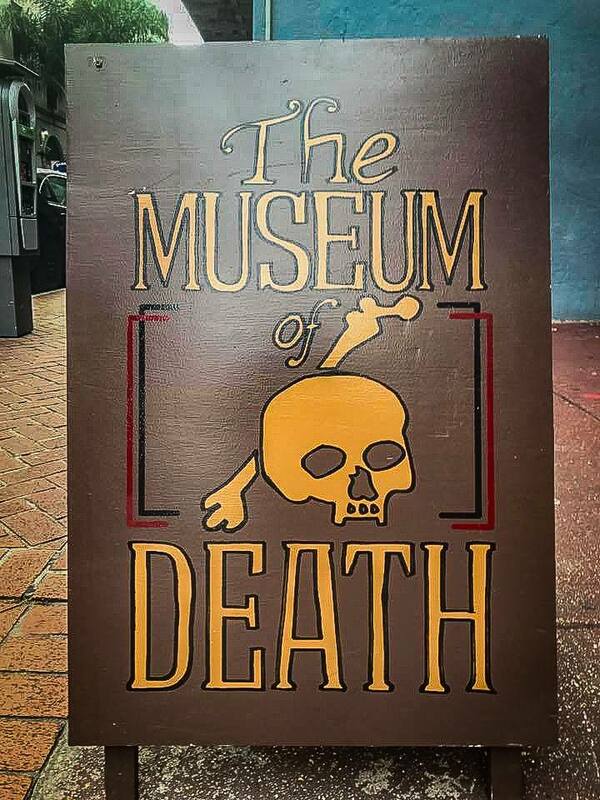 If you really want to take it to the dark side then the Museum of Death is home to body bags, coffins, a skull collection, the Theatre of Death, plenty of antique mortician apparatuses, real Manson Family photos, incredible artwork and letters from infamous serial murderers plus so many crime scene, morgue scene and car accident photos. We spent far longer in there then we thought we would and it’s really good value for money too! "Seven of the Best Things to do in Nashville"
"Best Places to take your Date in London [AD]"